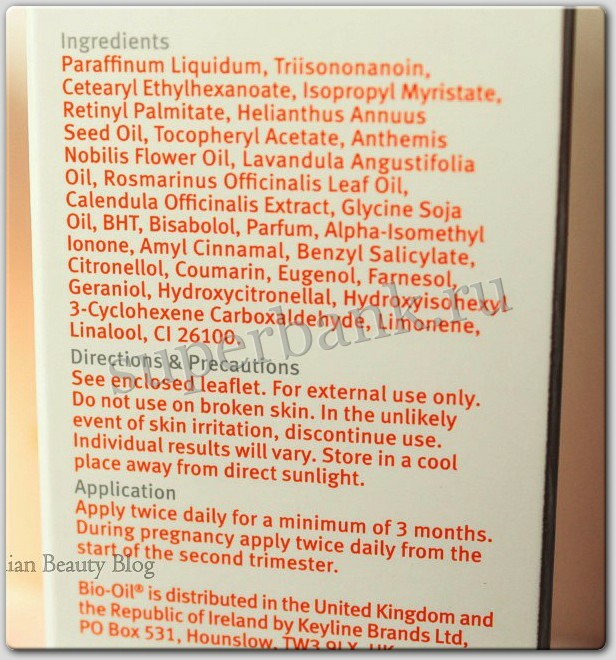 A unique blend of natural plant oils and vitamins, Bio-Oil is a multiple use product that has been clinically proven to help with scars, stretch marks, dehydrated skin, uneven skin tone and ageing skin. Bio Oil is a specialist skincare product that helps improve the appearance of scars, stretch marks and uneven skin tone. Its advanced formulation, which contains the breakthrough ingredient PurCellin Oil, also makes it highly effective for numerous other skin concerns, including aging skin and dehydrated skin. Bio Oil is formualted with the following all-natural ingredients: Vitamin A, Vitamin E, Calendula Oil, Lavender Oil, Rosemary Oil and Chamomile Oil. Bio Oil is a non-comedogenic (acnegenic), hypo-allergenic product that is suitable for use by individuals with sensitive skin. 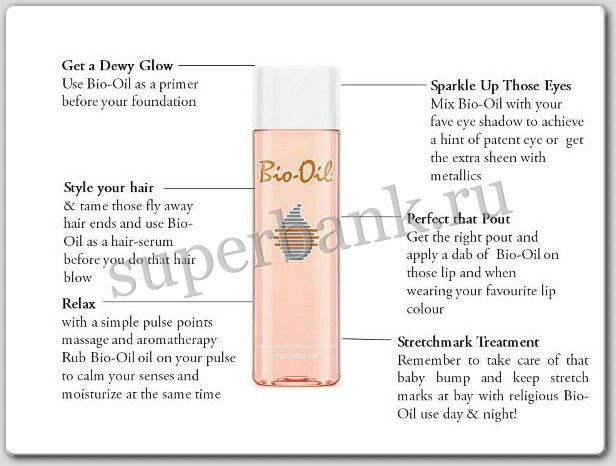 Bio-Oil helps improve the appearance of all scar types. It is also highly effective in helping to maintain the elasticity of scar tissue on joints and other high-mobility areas. Bio-Oil should be massaged in a circular motion into the scar and surrounding skin, twice daily, for a minimum of 3 months. Younger scars have a greater chance of improvement within a shorter time period, however, older scars will also benefit from the regular use of Bio-Oil. 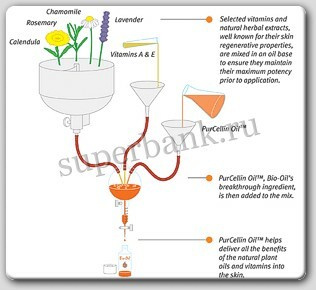 On new scars, Bio-Oil should be applied only once the wound has healed, and should never be used on broken skin. What is a scar and how is it formed? Scars are an integral part of the healing process and result from an imbalance in the production of collagen at the wound site. Scars go through numerous changes as they mature, but they are permanent in nature. Bio-Oil is specifically formulated to help improve the appearance of scars, but will never remove them entirely. Bio-Oil helps to improve the appearance of uneven skin tone caused by hormonal fluctuations, skin-lighteners or excessive sun exposure. Visible as dark patches on the face or body, uneven skin tone often becomes most apparent during pregnancy, menopause or after exposure to high volumes of UV light. Bio-Oil is highly effective in helping to improve the appearance of existing stretch marks. Bio-Oil helps to increase the elasticity of the skin, thereby the possibility of new stretch marks forming is reduced. Sagging and wrinkled skin commonly associated with aging is largely caused by the weakening of the collagen and elastin support system in the dermis. Bio-Oil contains numerous ingredients that help to plasticize the skin, making it softer, smoother and more supple, thereby reducing the appearance of wrinkled and sagging skin. 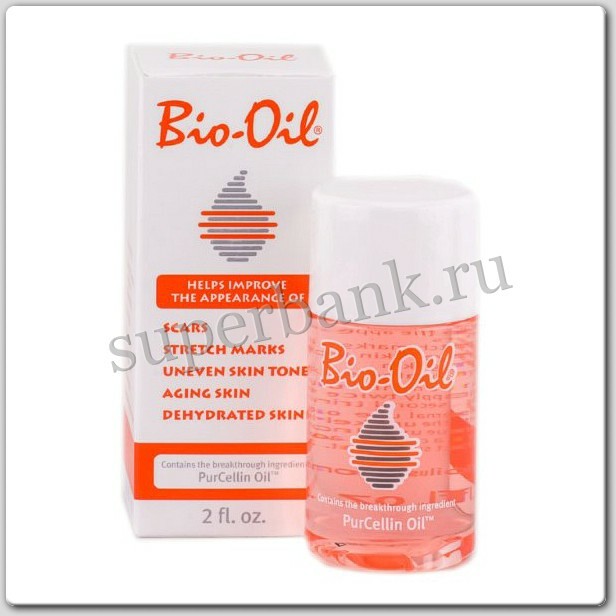 Bio-Oil also moisturizes, which improves the texture, tone and appearance of fine lines and wrinkles. Click the button below to add the Bio-Oil for scars, stretch marks and dehydrated skin to your wish list.